Please note that the content of this book primarily consists of articles available from Wikipedia or other free sources online. High Quality Content by WIKIPEDIA articles Salamanca is a province of western Spain, in the western part of the autonomous community of Castile and Le n. It is bordered by the provinces of Zamora, Valladolid, vila, and C ceres; and by Portugal. 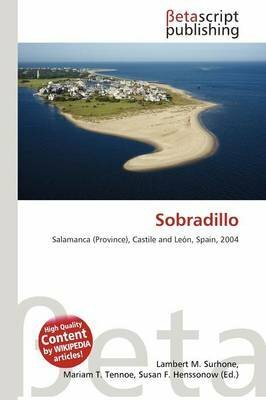 353,110 people (2006) live in the province, of whom 45% live in the capital, Salamanca. There are 362 municipalities in the province, of which more than half are villages with fewer than 300 people. There are Roman Catholic cathedrals at Salamanca and Ciudad Rodrigo.